Lauren Cunningham is blogger and member of the Institute who is passionate about forming community and believes that our sense of community is vital in making meaningful strides toward the collective hopes and dreams we have for our children and their future. You can find more of her writing at Things I Teach My Children. How daunting it is to raise children in a society so fraught with conflict. When our differences are more pronounced than our similarities and the future seems all too uncertain, it’s difficult to know how to guide our children toward their roles as responsible citizens amidst a bitterly divided nation. In the face of great cultural and political divide, standards of civility have taken on an antiquated, if not controversial, status. Those who wield political power and social influence are rewarded for abandoning all pretense of civility in favor of condescension and derogatory name-calling. This behavior is often reflected in our own day-to-day desire to prove our point and condemn our opponent. And all the while we are left wondering, in a collectively exhausted state, if rhetoric and dialogue which retain respect for our perceived opponents has any skin left in the game. It’s easy to see how civil behavior is losing a popularity contest. When communities feel trampled upon or threatened, when people are made to feel belittled or forgotten, our natural reaction is to fight it out and defeat our opponent. If there is something for which we feel strongly, it may feel weak and superficial to be civil in our interactions with people who we believe are gravely wrong. It may even seem subservient to “their agenda”. Thus we assume the role of warrior in order to “combat” their presence in our society. The thing is, when I look at my young children, I realize my job is not to raise combatants who rally against their neighbors. Rather, my responsibility is to raise civilians who tirelessly and peacefully strive to build a safe and just society for all. However much I want my children to pursue justice, I cannot teach them that this pursuit entitles them to treat others uncivilly. In fact, despite the growing controversy surrounding this behavior, my children are taught that they must try to be civil. Always. When engaging in any kind of social matter, I want my children to appeal to the best which is within themselves, as well as those with whom they disagree. This commitment is not showing weakness, frailty or privilege, but rather an inner strength which holds that all people are created equal and thus deserving of a recognized inherent dignity. If I want my children to promote justice, I need to provide them with as much of this strength as humanly possible for the arduous task. The belief in the inherent dignity of all can provide a will to carry on when everything seems to be going against them. Radical love, or radical justice, calls us to embrace a consistent code of civility. Consistency in its application to all humans, regardless of whether we believe they merit it or not, is to embrace true equality and a fervent belief in humanity’s ability to apply reason and intentionality to our words and actions. If what my children believe is good and true, then they need to employ all that is good and true to bring about this vision. Regardless of what they are facing, the strength of their positive message must be the victor, not their pride. These days, my young children want retribution for every unfair thing that happens to them. An eye for an eye. But in teaching them that civility means laying aside the desire for self-gratifying retaliation, I hope to alleviate for them the exhausting and toxic cycle we now find ourselves in today. If we continue as we are, no one will have the last word or obtain reconciliation. And though humanly impossible not to struggle with the urge to be uncivil, I hope that the majority of my children’s energy could be directed toward greater things. They could rely on wit instead of vulgarity in advancing their beliefs. They could use their knowledge instead of their biases to discuss the issues. They could have the courage to listen instead of always having to prove a point. And perhaps most radical of all, they could recognize that kindness does not negate truth, but often facilitates the conversion experience toward real and meaningful change. So, I teach my children that strength lies in civility. And I know I’m not alone in teaching this. Anita Stech is an Institute member and the owner of Cut Loose Creations, a company that turns old tee shirts into stylish clothes and accessories. 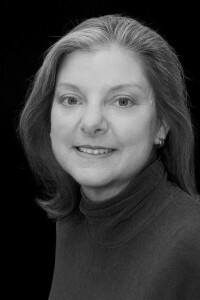 In 2011, she participated in the Institute’s Civility Workshop held in Duluth, MN. And as a member of the Pilgrim Congregational Church Social Justice Ministry, she has worked with the Duluth-Superior Area Community Foundation’s “Speak Your Peace” initiative to create “Civility Certified” community forums and debates. Every once in a while I cross paths with a woman I supported in a recent local election. Now an elected local official, she tells me how much work there is to the job. For every government meeting, council or committee, she receives and reads pages and pages of background material. She gets multiple contacts each day from constituents and those wishing to influence her thoughts and votes on various issues. She researches issues and city actions. We discuss how much more there is to serving in office than running to serve, and I thank her for her work. The election cycles never seem to end. The constant ads and solicitations unfortunately draw attention to the contests rather than the work our elected officials have been selected to do. Even with a four year term, thinking of how to conduct and fund the next election is always in the back of an official’s mind. There have been some pretty harsh attacks on our local officials lately. School board meetings have drawn a crowd of people who have not been shy in vocally criticizing the members, personal attacks and threats included; a movement is afoot to recall a city councilor. Even civility itself, when under discussion at a school board meeting, was attacked as a “sham” and a “joke” by a sitting school board member. This may be “newsworthy” stuff, but it draws attention from the work of governing. And governing is what is important. So here is a thought for those of us who vote: attend a local government meeting – city council, school board, or county commission. Attend the government meeting not because you want something from the councilors, board members, or commissioners, but to simply show support for the work we as a community have asked them to do. And attend the meetings to learn more about how things work. Moving an idea from your head to something a city, county, or school board can consider takes a lot of work. Ask staff how a proposed idea might move through the system. Any elected official knows that part of the job is to listen to everyone – the noisy ones included. But it might be nice to be reminded every once in a while that there are lots of others who are interested in the work of governing, and who appreciate those who work so hard to be part of a governing body that fixes streets, educates students and takes care of those in need. Be that reminder. Attend a government meeting. Note: to learn the time and location of government meetings in your area, check the “Government” section in your telephone book, or search the web for the town, county, or school board name. For example: “Duluth Minnesota City Council”. Kimberly Glaus Läte is a current member and past board member of the Institute for Civility in Government. She works at the Johnson Space Center near Houston, TX, leading the team that produces the American portion of the flight food for the International Space Station, as well as the food science and engineering staff that develop flight food systems for interplanetary travel. Kimberly has been active in non-profit organizations focusing on hunger relief. And she currently serves as an adjunct professor at the University of Houston, teaching a graduate level course in non-profit management. My name is Kimberly, and I live and work in the community around Johnson Space Center near Houston, TX. I am not a direct government employee, I work for a nationally known aerospace/defense contractor. At Johnson Space Center, I manage the team of folks who prepare, package, and stow containers of food which are then packed into a variety of flight vehicles and delivered to the International Space Station. My team feeds the astronauts, and not just the US astronauts, either. All the food on the ISS is shared between cosmonauts, European, Japanese, Canadian, and US crewmembers. I have a really cool job and I am grateful every day that our nation supports this kind of exploration, and not just because it keeps me employed. The desire to explore and increase our knowledge of what exists beyond the horizon is a universal human trait. But that is a story for another day! In the week leading up to October 1, the management teams of the various government contractors working in and around Johnson Space Center provided information to employees about who would work during the shutdown, who could work at home via telecommuting, who would continue to work on-site at JSC, and who would be unable to work. 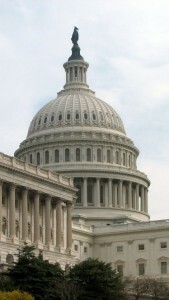 Some companies provided information to team members about applying for unemployment during the shutdown, and others required employees to use vacation and other paid leave. My team was “excepted”; our work was considered “critical” to the International Space Station, so we continued to report to work. This was pretty eerie – coming to work at a government facility that was basically closed! On the positive side, parking was great, as there was no competition for close parking spots. Our building continued to have lights and air conditioning, so we reported to work and tried to behave as though everything was normal. We all knew we were the lucky ones; we were continuing to get paid without having to use vacation, or apply for unemployment. As the furlough went into a second and then a third week, the funding for our contract began to run out and contingency plans had to be considered. How many people did we really need to continue to meet our customers’ requirements for food deliveries? Could we limp along with half our staff until the civil servants returned and funding was appropriated? Thankfully, the furlough ended two days before we were scheduled to implement a reduced staffing plan. It’s hard to look at your team and try to figure out who should continue to work a full schedule and who needs to be cut back to half time. I’ll bet none of our elected representatives have ever had to tell a single mother that her hours were being cut because the funding for her work is being held hostage to political agendas and aspirations. During the third week of the shutdown, my daughter and I met for lunch at a local restaurant. After we’d placed our order, I asked my daughter to look around the restaurant and tell me what she observed. She said: There seem to be a lot of older people here. This was because on a workday, the restaurant is usually filled to capacity with middle-aged workers from JSC, which is located just a few blocks away. How does the restaurant look different compared to the other times we’ve been here? I continued. Well, we parked right up front, and there don’t seem to be very many people in here. The proverbial light suddenly came on for my daughter, and the awareness of what was happening registered in her face. What you are seeing is the direct impact of the government shutdown. On the way out, I noticed the owner of the restaurant was working the cash register. Has business been pretty slow? I asked. He smiled thinly and said that it had. I told him we had enjoyed our meal and that we all hoped that the shutdown would end soon. This was the same story for all the local restaurants – every place I visited during the three weeks the government shutdown was in effect was virtually empty at lunchtime, which is the “meat and potatoes” of their business, so to speak. I am happy for my civil service counterparts, that they are receiving back pay for the period of the shutdown. I am sad for all the lost wages, vacation time, and lost revenue that other workers and local businesses experienced that will not be reimbursed. And I am disappointed in our government leaders, that they have been willing to play politics with the livelihood of people, many of whom live paycheck to paycheck. I wish I had something profound or even “blog-worthy” to say about this situation, but I don’t. I’m just sad, disappointed, and, at times even angry that our publicly elected officials let things come to this. Now that I’ve gotten this off my chest, you’re probably thinking: so what are you going to do, to translate those sad / disappointed / angry feelings into action? I’m going to write to my publically elected officials and share with them what I’ve shared with you. If we don’t share what we know with our elected officials, modeling the civility we expect them to have, they can’t represent us very effectively.